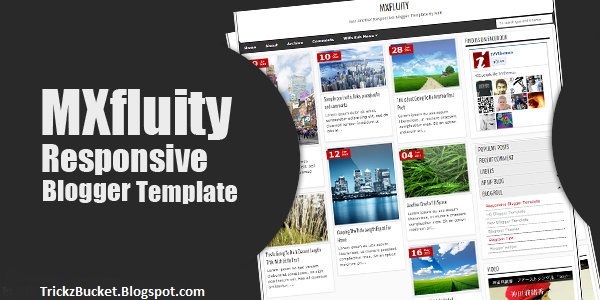 MXfluity is personal and photograhic responsive blogger template layout with many future. It’s 2 columns with right sidebar or left sidebar with accordion slider. Default template color is black, white and red and easy to change it. This template have one top navigation menu. Search box using JSON and make visitor don’t need to change the page to see the result. Threat comment with emoticon, recent comments with avatar and admin control, SEO optimaze, and more. Recent comments with avatar and more. This blogger template is best for persnol blog especially built for those who love photography. This template is licensed under Creative Commons, so please do not remove footer credits. Enjoy this awesome template and leave your comments below, to share your experience with us or if you have any question regarding this template. Enjoy Blogging and do not forget to join us on Facebook.